Love watching dubbed anime series online? Here are some quality websites you may want to check out for the latest anime series. When it comes to watching anime series online, there are many sites offering a rich variety. Even with their engaging themes and colourful, graphics, finding dubbed anime series can be quite a challenge. Not many websites are offering the same. In this article, we have reviewed some of the best websites for watching dubbed anime serials. 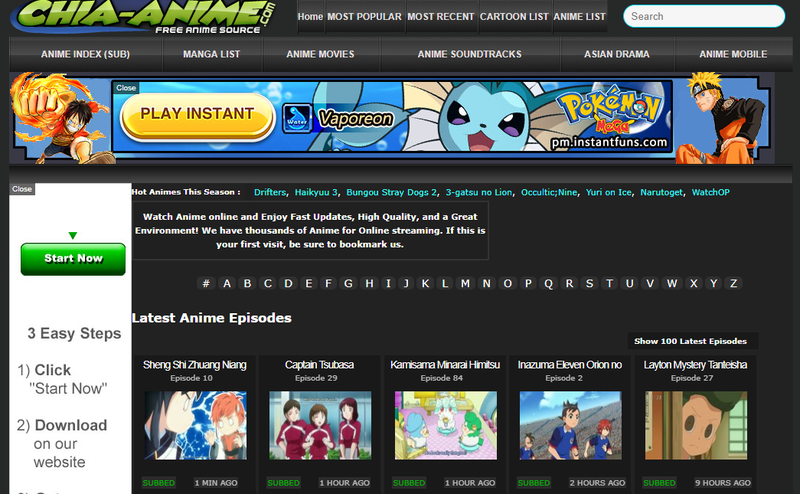 In particular, our list consists of some English dubbed anime series websites. Take your time to check each of them so as to find the very best. If you are looking for variety and quality in anime series, you can never go wrong with Anime Twist. It has an attractive and intuitive user interface that also features very clear content categories, filter tools and a search tab for simplified searching of the contents you love. Twist has a number of English dubbed anime categories based on genres on the platform. You only need to choose your favourite category then select the best episodes. Some of the varieties available on this platform include 07 Ghost, 18if, Absolute Duo, among others. If you are new to this platform, it is important to note that it has a characteristic dark themed background and a colourful interface. Large collection of the latest English dubbed anime videos. Supports video qualities including 720p, 1080p, 4K and 5K. This is home to a wide range of anime categories. Find Action, Adventure, Romance, Horror, and much more on Anime Heros. Everything dubbed anime is available on this platform. It has an intuitive and user-friendly interface featuring very exciting filter options that make access to contents super easy. Dubbed anime series on this platform are available in different categories, seasons, genres, and languages. You have a wide selection of options to choose from. The platform also supports different video qualities including 4K UHD, 360p, 720p, 1080p and many more. What I love most about 9anime.to is that the platform supports streaming as well as content download. You go with the option that fits you best. So, what makes this dubbed anime platform outstanding is the quality and variety of videos available. It has a colorful UI featuring a slider for faster content access. It has a wide collection of the latest dubbed anime videos. Supports different video qualities including 360p, 720p, 1080p, 4K UHD. This is another great anime content streaming site. In fact, it supports crystal clear video quality and the variety is fantastic. The dubbed anime videos available on this platform are categorized into different categories including “Joint Promotion”, “Popular”, “Simulpub”, “Updated”, etc. You can choose and browse through the various categories for your favorites. Accessing contents on this platform is free of charge. All you need to do is sign up and create your account, and there you go. The free plan has a couple of annoying adverts. You can upgrade to their premium paid plans for an ads-free watching experience. It is also important to note that all premium plans have a 14 day free trial period. And premium plan subscribers are free to cancel their plans or revert to t6he free plan whenever they feel like. In brief, this platform supports free and premium plans. This is, in fact, one of its major selling points. The platform is compatible with the following operating systems and smart devices: Android, iOS, Windows, smart TV, PlayStation, Xbox, Apple TV Roku, Chromecast, among others. It supports different video qualities including 360p, 720p, 1080p, and 4K. Compatible with many operating systems and smart devices. This is another very popular platform that has very inviting dubbed anime categories. If you are looking for a platform that offers quality anime videos for free, then check out Gogoanime TV. It comes with a very attractive and user-friendly interface that also features sliders and content filtration tools. The homepage has different categories of the available genres of dubbed anime videos. Some of the available categories include comedy, magic, sports, movies, adventure, etc. it supports different video qualities including 360p, 480p, and 720p. In order to join, all that you need is to sign up and create a free account then begin streaming or even downloading your favourite anime series. This dubbed anime platform is compatible with Android, Windows, and even iOS-powered devices. For those with smart TV, PlayStation and Xbox, you can also enjoy streaming your favourites with no much strain. Supports a wide range of HD video quality; 360p, 480p, 720p, and 1080p. It has a wide collection of trending dubbed anime videos. It as a couple of filter tools and a search tab for simple content access. If you are In Canada or US, Funimation is a very good place for streaming the latest dubbed anime videos and cartoons. Though it is geo-restricted, you can still access the contents on this platform using proxy IPs. With a distinctive tagline; ‘Discover Extraordinary anime’, there’s no doubting the quality and variety available on this platform. It is compatible with different Operating systems including Android, Windows, iOS, MacOSx, etc. This platform supports free and premium plans. Upon signing up and creating your free account, you can upgrade to any of the available premium plans or stick with the free plan. 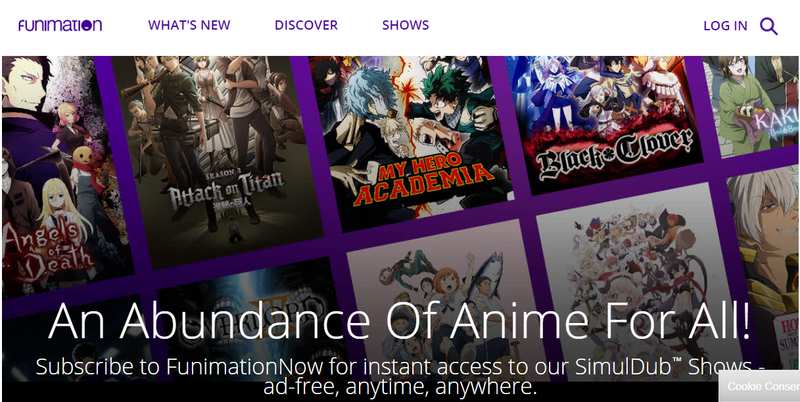 Funimation provides a 14 day trial for all its premium plans. Users can also cancel their premium plans whenever they feel like or even revert to the free plan and get a full refund. Only available for Canada and US citizens. Supports different video qualities; 360p, 720p, 1080p, and 4K. This is another popular dubbed anime streaming site known for the latest contents in HD video quality. Contents are arranged into different categories in alphabetical order. It is therefore very easy to find and plays your favourite dubbed anime videos. Its beautiful user interface features neatly arranged content categories. Some of the categories available include Action, Cartoons, Comedy, Dementia, Game, Harem, etc. You can choose to go with the free membership plans, though it comes with substantial ads that can be annoying sometimes. Alternatively, one can upgrade to premium membership plan for a small monthly fee. What’s more, this platform has videos of different qualities including 240p, 360p, 480p, 720p, and 1080p. Depending on the device, you can choose any of the supported quality levels. And in order to ensure uninterrupted video play, this platform is run on some top high-performance servers including Streamango, Beta Server, and RapidVideo. For smooth and buffer-free operations, Kissanime has the following high-performance servers; RapidVideo, Streamango, and Beta server, and RapidVideo. It has a wide library of the latest as well as past dubbed anime series and episodes. Has integrated filter tools and a search tab. Supports free and premium membership plans. Video qualities supported: 240p, 360p, 720p, and 1080p. This dubbed anime platform has a very attractive user interface featuring a fascinating blend of very beautiful colours. For simplified access to your favourite contents, this platform has inbuilt filter tools and a search tab. Contents on this platform are categorized into different groups depending on the genres available. These include “Recent Anime”, “Being watched”, “popular today”, and others. These categories allow quick access to your favourite anime episodes. What I love most about this platform is the fact that all the dubbed anime episodes are free of charge. Per episode, they’ve provided adequate info about ratings, genre, length, and suitable age bracket. Simply put, Masterani provides users with all the information they require before streaming a particular episode. Added to the large collection of the latest anime episodes, this platform is simply the best. Supports different video qualities; 360p, 480p, 720p, and 1080p. Supports video streaming as well as mp4 content downloads. If you are looking for a dubbed anime watching platform that is frequently updated with the latest contents, AnimeSeason is just that platform. It comes with an attractive dark coloured user interface with contents clearly classified into different categories depending on then genres available. You will also get columns of “Full series list”, “ongoing series”, “recent must watch”. You can, therefore, choose on the category that fits you best. For every anime episode, you will also get info about ratings, likes & dislikes, title and episode numbers. What I love most about this platform is that it has up to 3 servers dedicated to streaming your favourites. Added to its light design, contents on this platform loads much faster and as such, won’t overstretch your browser’s capacity. Chia anime has a mobile-friendly user interface featuring a well-arranged homepage. 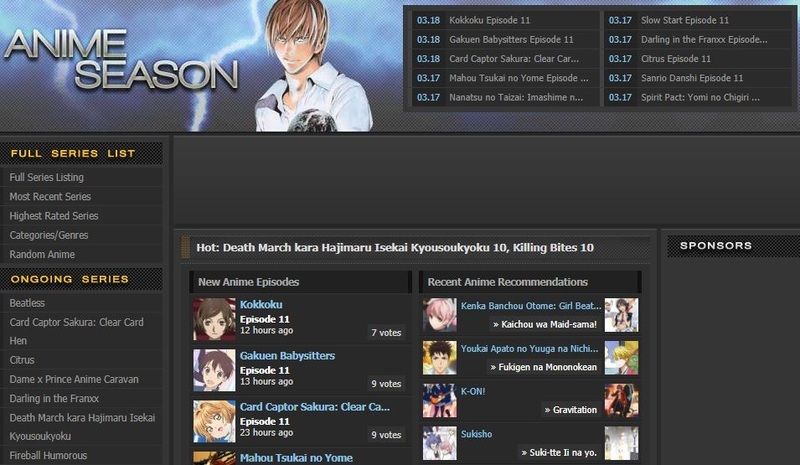 The user interface has different content categories including new and old dubbed anime series. This makes it a lot easier to access your favourite anime episodes. Some of the categories available on this platform include Drama, Manga, Action, Adventure, etc. So, depending on one’s taste and preferences, you can choose any of the above-mentioned categories. What really makes this platform the best is the rich variety of dubbed anime episodes and the simple categorizations that make site navigation a breeze. It is popular with shows like ‘One Piece’, ‘High school of Death’, among others. The platform supports free and premium membership plans. You can, therefore, upgrade whenever you feel like. If you are looking for a platform with the best English dubbed anime episodes, I recommend Chia-Anime. It has a wide collection of the latest anime episodes. Supports different video qualities including 480p, 720p, 1080p, 4K UHD, and 8K. Tubi TV has a very inviting user interface featuring colourful anime categories. The categorization is on the basis of genre and trending anime episodes. This platform has a wide collection of anime episodes, recent and past seasons. The subbed anime sections are further categorized into “featured animes”, “quality anime-media”, “Streams”, and “Daily updates”. In order to find your favourites, all you need to do is check through any of these categories. Tubi TV has a very large catalogue of some of the best English dubbed anime series. The platform supports free and premium membership plans. The free plan is cool but comes with a number of adverts which can be quite annoying to some people. The premium plan guarantees an ad-free watching experience. When it comes to streaming dubbed anime seasons and episodes online, you’ve got to go for the very best platforms. Not all platforms are the same. In our review, we have provided some very detailed descriptions of some of the top ranking anime streaming sites. In order to get the very best of all, be sure to compare and contrast each of the enlisted sites.